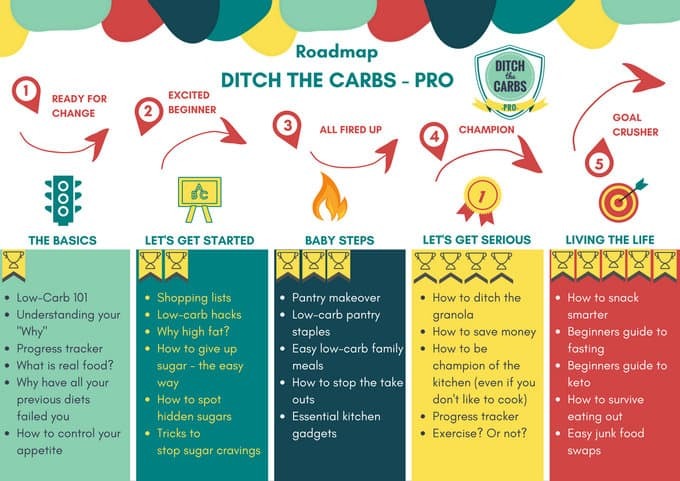 So you’re confused about how to start low-carb and if you’re doing it right? You’ve tried before, but didn’t get the results you wanted? 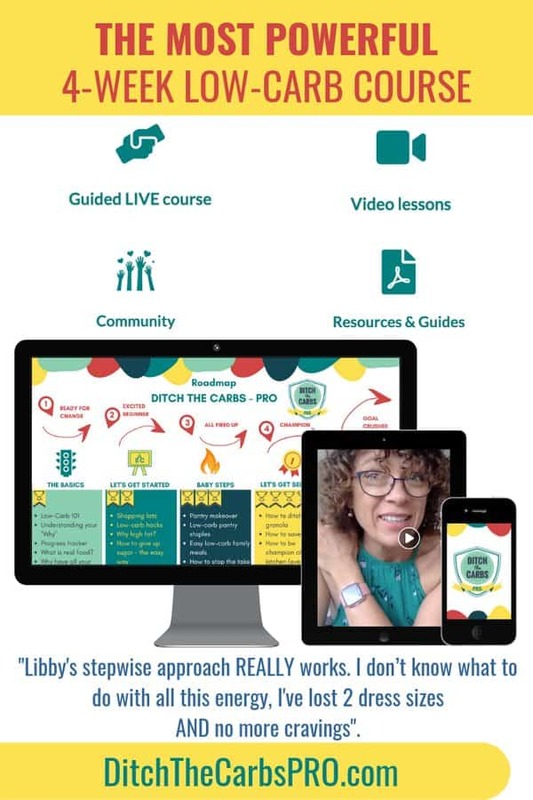 Finally … there is a guided LIVE course to teach you how to live low-carb, for life. I only open the doors a few times a year so don’t miss out. Join now … or join the V.I.P waiting list. How to overcome sugar cravings once and for all. Ready for change – You know the weight has been creeping on and you’ve tried everything. You’re overwhelmed. Excited beginner – You finally understand what’s been driving your unstoppable hunger all your life and that there’s a simple solution. All fired up – You’ve begun quick and actionable steps. You’ve got this! Champion – Friends are noticing your weight loss and happiness. You’re back in the kitchen, and having fun! 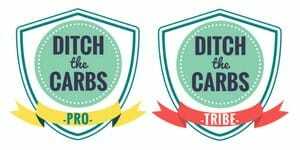 Goal crusher – You’re living low-carb and thriving. You’ve got your life back. Your weight loss has continued. You can eat out and meet daily challenges. What to enjoy. What to avoid. Separate the truth from the myths. FINALLY be in control of your appetite, rather than it be in control of YOU? Learn how to give up sugar and junk food WITHOUT feeling deprived? STOP worrying about the calories, the fat and the points … EVER again! Live the life YOU deserve. Happy, healthy and fun loving YOU. See what happens when you live low-carb.